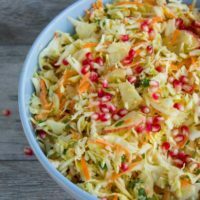 This light coleslaw salad recipe is crunchy, filling, refreshing and ultra creamy without using mayo. It’s perfect for your bbq, game night, healthy dinner night and picnic table. This is a light version of an all time favorite- dressed up with sour cream (full, light or fat free!) 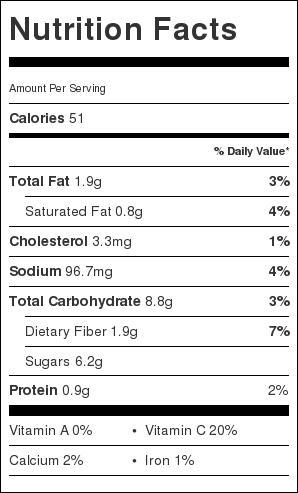 as a base instead of mayo and mixed up with apples and pomegranate arils for sweetness and extra freshness. A few summers ago we were invited to a really big family gathering and bbq at one of my closest friends’ place. And she insisted that I bring no fancy food or dessert with me ( something I found much trouble accepting) and rather bring an enormous amount of salad to go with her burgers. 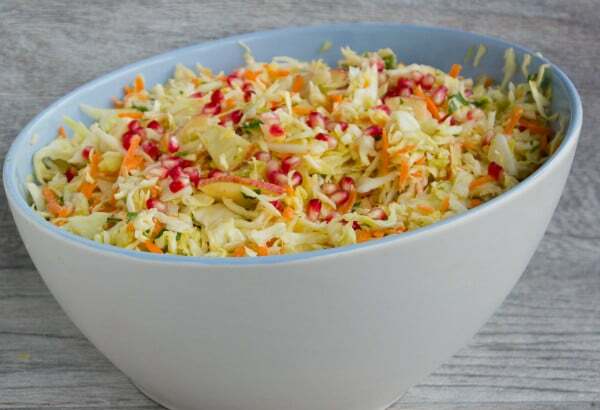 Without much thinking I got excited and offered to bring on my coleslaw salad, she on the other hand didn’t share that excitement..So I told her I’ll bring another type of salad..
At that point I had planned on bringing a large garden salad so everyone would be happy. 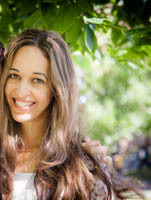 But a few days before the bbq I found out she wasn’t excited about the coleslaw salad because her husband hates mayo and she felt that it’s a heavy salad for a fresh summer bbq— and that’s when I got excited all over again telling her how light I love my coleslaw salad and how fresh it is and how great it would be with the bbq. She was intrigued and I was challenged! 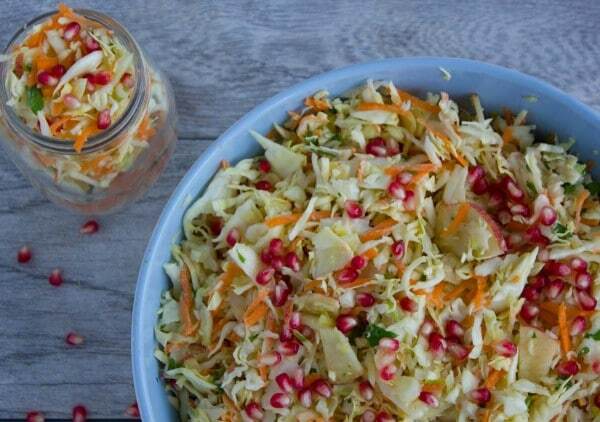 I made an enormous amount of both the garden salad and the coleslaw salad that day to be safe.. And which recipe do you think was circulating at the bbq? 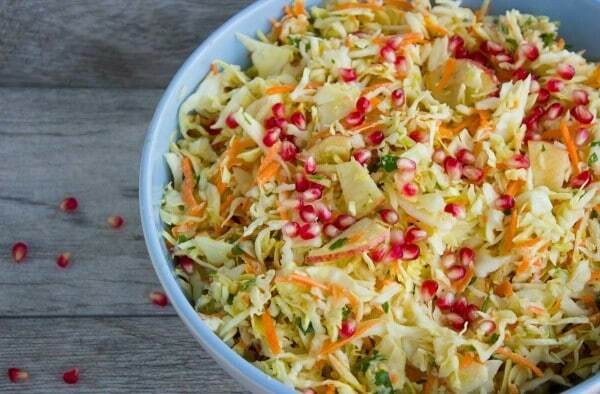 Yes indeed the coleslaw salad!! 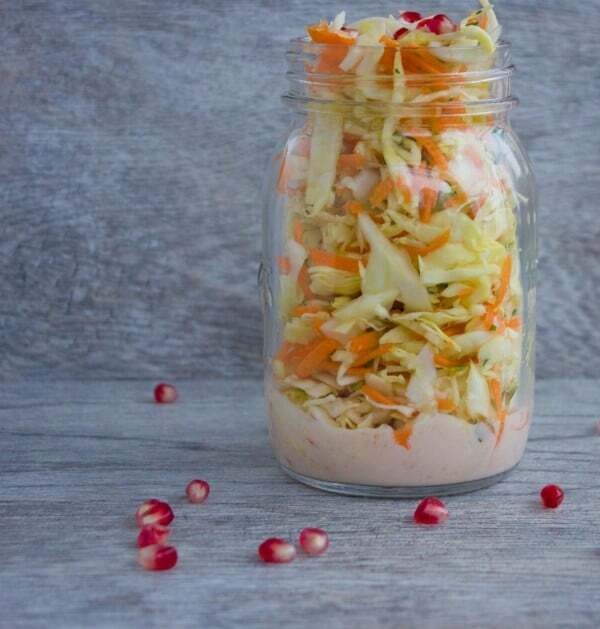 It’s perfectly balanced in sweetness, it’s crunchy, it’s light and has a clean fresh taste from the apples and pomegranate, and the sour cream dressing adds much freshness and creaminess without the heavy feeling of mayo. 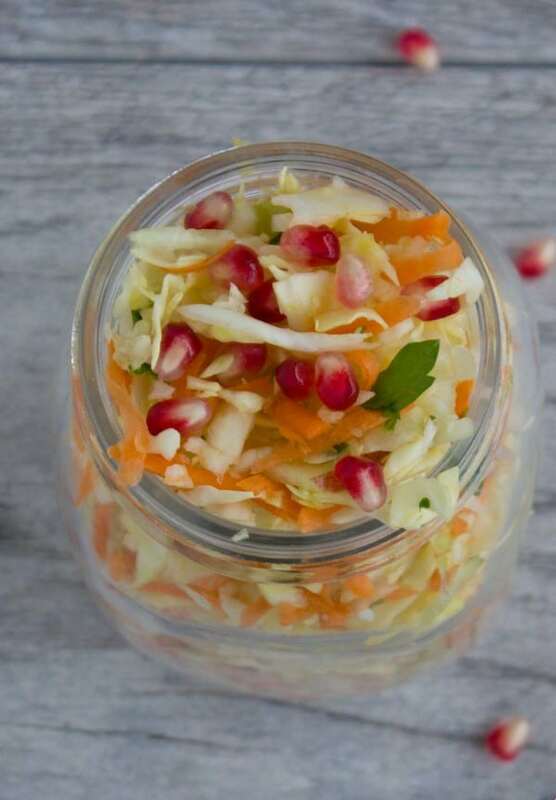 This salad is also perfect when eaten a day or two later (stored in the fridge) and if you have a food processor to shred the cabbage, then the whole salad whips up in 15 minutes! Start gearing for Spring with this refreshing salad-enjoy! Prepare all the salad ingredients in your food processor and toss them together in a large bowl. Use the same food processor to make the dressing: Place all ingredients in the food processor and pulse into smooth. Taste and adjust seasoning. Dress up the salad with as much or little salad dressing that you prefer. Store any left overs in the fridge in a sealed container of up to 3 more days.